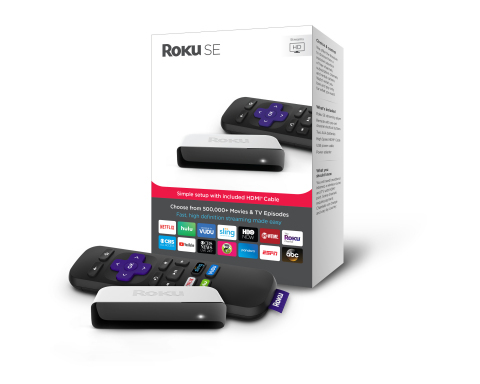 Roku, Inc. (NASDAQ:ROKU) today announced the company is offering streamers incredible Black Friday deals including $50 off of the popular Roku Ultra, $20 off the portable Roku Streaming Stick and a new limited-edition Roku SE streaming player available exclusively in-store at Walmart for $20. The Roku Ultra will be $50 off the usual $99.99 MSRP at major retailers nationally from November 22 through Cyber Monday, November 26. The Roku Ultra is Roku's most powerful and feature-packed player great for heavy streamers, living rooms and primary TVs, or even home theaters. It features a clear and immersive picture for HD, 4K and HDR content, an enhanced voice remote with TV power and volume buttons and a headphone jack for private listening, premium JBL headphones (valued at $39.95 MSRP), a USB port for local playback and much more.